Nigeria’s President Muhammadu Buhari suspended the country’s most chief justice on Friday, just three weeks ahead of a presidential election, in what his challenger called an act of dictatorship and the bar association called an “attempted coup”. A blast near a cinema in the centre of Kenya’s capital injured two people on Saturday and police said they suspected it was a homemade bomb. There was no immediate claim of responsibility. The incident comes less than two weeks after Islamist militants stormed an upscale hotel in Nairobi, killing 21. That attack was claimed by al Shabaab, a Somali militant group behind a series of attacks in Kenya in recent years. “We are suspecting an improvised explosive device,” Nairobi police commander Philip Ndolo told reporters about Saturday’s blast. A man of Somali appearance had hired a porter to push some luggage at about 7 p.m. (1600 GMT) before leaving the porter at a busy junction saying he had to find his identity card, Ndolo said, adding that the luggage then exploded, injuring the porter and a nearby newspaper vendor. A Reuters reporter at the scene said there did not appear to be any major damage to surrounding shops. Police has set up a security cordon in the area. “It was a very big sharp explosion that made everyone run away,” said security guard Appolonary Odero, who was in the area. The European Union’s team observing the election that is scheduled to take place on Feb. 16, as well as the United States and Britain, expressed concern about the suspension. Nigeria’s judiciary has helped resolve electoral disputes after past votes, some of which have been marred by violence and vote rigging. The chief justice could rule on any future dispute. The president on Friday said he had suspended chief justice of Nigeria Walter Onnoghen who has been asked to appear before a tribunal over allegations of breaching asset-declaration rules. Buhari, who was a military ruler in the 1980s and voted into office in 2015, is seeking a fresh term in the upcoming election. At stake is control of Africa’s top crude oil producer and one of the continent’s biggest economies. “In the first instance, we are suspending our campaign for 72 hours,” the PDP said in a statement. “It is our hope that President Buhari will listen to the voice of all lovers of democracy the world over and restore democracy in Nigeria immediately and without qualifications,” it said, calling the suspension a “brazen assault on the constitution”. 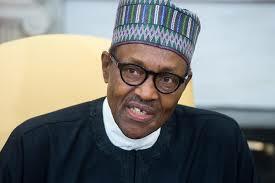 Buhari said on Friday a court order from the Code of Conduct Tribunal, which is looking into the asset declaration allegations, directed him to suspend the judge. “The EU Election Observation Mission is very concerned about the process and timing of the suspension of the Chief Justice of Nigeria,” the EU observers said in an emailed statement. “The timing, just before the swearing in of justices for Electoral Tribunals and the hearing of election-related cases, has also raised concerns about the opportunity for electoral justice,” it said. Britain’s High Commission said the timing “risks affecting both domestic and international perceptions on the credibility of the forthcoming elections”, while the U.S. embassy called for issues raised by the suspension to be solved swiftly and peacefully. The PDP postponed a rally that it was due to hold in the central city of Markudi on Saturday. The party was in power from the start of civilian rule in 1999 until Buhari’s 2015 election victory with his All Progressives Congress (APC) party. “It is just an excuse they are looking for in order to escape the defeat that is awaiting them,” Lanre Issa-Onilu, a spokesman for the ruling APC, said in a telephone interview when asked about the opposition’s decision to pause its campaign. The PDP’s candidate, businessman Atiku Abubakar who served as vice president from 1999 to 2007, is the main challenger to Buhari in the upcoming poll. Opposition leader Felix Tshisekedi called for national reconciliation on Thursday as he became Democratic Republic of Congo’s president, succeeding Joseph Kabila in Congo’s first transfer of power via an election in 59 years of independence.